You may be leaving your Christmas shopping to the last minute or maybe you are still struggling to find the perfect gift for the man/woman in your life who has everything. But not just any bacon jam. You need Syms Pantry bacon jam in your life. If you have done all your Christmas shopping then buy some for yourself. You will thank me. If bacon jam can change your life this may be that bacon jam. 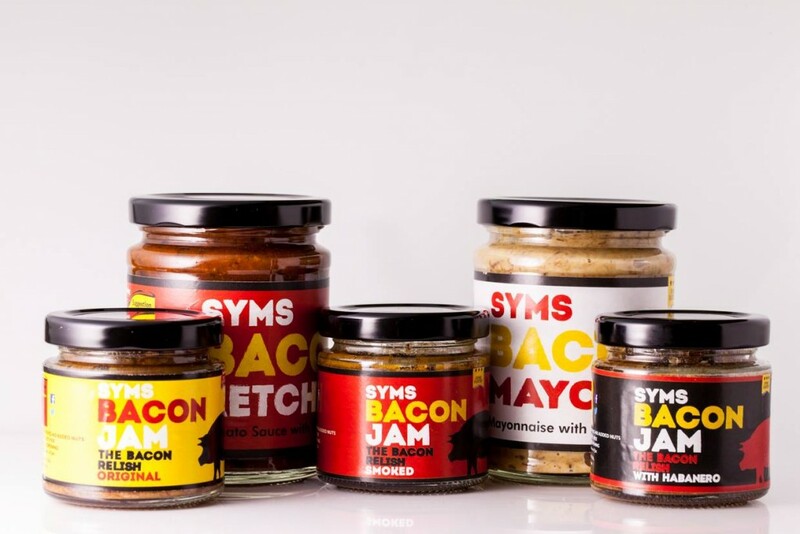 The full Syms Pantry range is a staple for any pantry. Let me introduce the range starting with the bacon jam. The original is balanced, meaty, bacony and very very moorish. It is difficult not to simply eat your way through with a spoon! The smoked is even richer, somehow meatier and somehow more bacony. Oh and more moorish! We’ve tried these in a variety of dishes from brie toasties to grown up dishes involving spinach and other greens. I thought the first two were hard to improve on. But then I tried bacon jam with habanero! This is a whole new level of bacon jam. Not for the faint hearted when eaten “neat” but super balanced and perfect in just about everything we’ve tried it in. 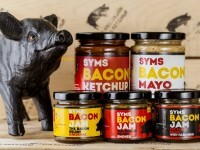 And just when you thought that life couldn’t get better you discover that the bacony chaps at Syms have developed a bacon mayonnaise and a bacon ketchup! You thought you knew flavour, you thought you knew moorish and then you tried these. 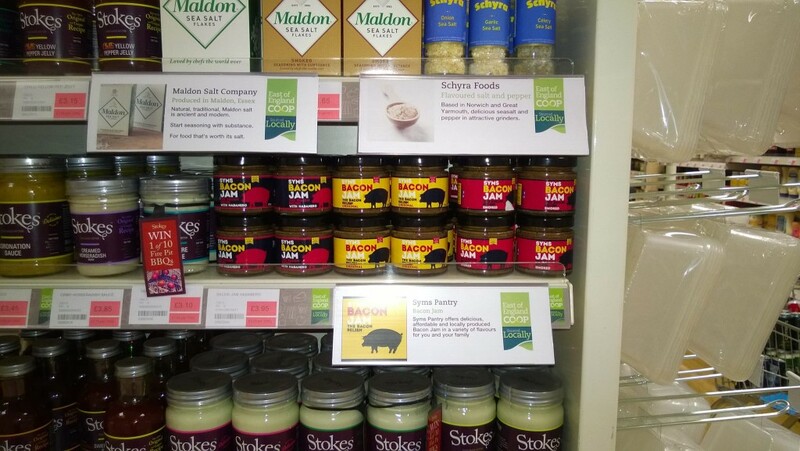 I am delighted to see that you can buy Syms Bacon Jam in East of England Co-Op stores although I’m not sure which branches. You can find out more on the Syms Pantry website – http://www.symspantry.com/.